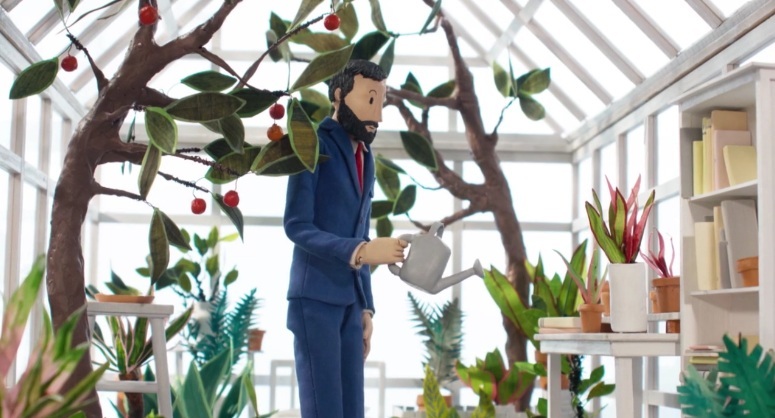 Tim lives in a greenhouse suspended by a crane above the city. He has two wishes in life; to steal the office plant next to the water cooler at work and meet Francesca, the hot line operator he calls each day from a phone box in the street. Screened at over 30 international film festivals picking up a best animation award, a best writer award and a special mention. A film by Thomas Harnett O’Meara.